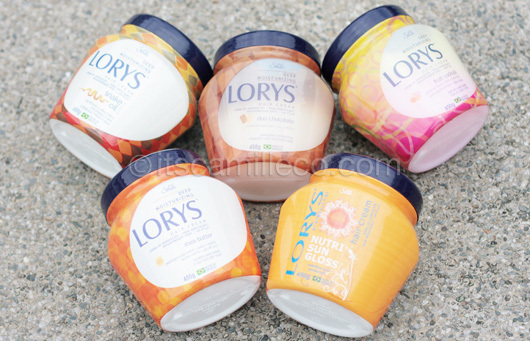 I recieved a bunch of awesome hair treatments/conditioners from Lorys! Looky looky! Lorys hair cream is made in Brazil and can be used as either a conditioner or hot oil treatment. They’re really price competitive! These 450g hair creams I received are priced at only PhP185 each. They’re also available in 1kg atPhP349.75. My personal favorites are the Duo Chocolate and the Snake Oil. I love the Duo Chocolate variant because of its smell. It really does smell like chocolate! Kinda makes me hungy all the time though, haha! The Snake Oil, on the other hand, feels really great on my hair. It’s the kind of intensive treatment my hair needs especially with the amount of styling done on my hair every week. If you want to give Lorys a try, remember that Lorys hair creams are suited for different hair types so make sure to consider your hair type first. Mine is sort of dry and damaged (at least in my opinion) so the Duo Chocolate and Snake Oil are perfect for me. From what I hear, Lorys bestselling variants are the Snake Oil and the Fruit Cocktail. For those interested, Lorys is currently available at Watsons, SM, Shopwise, PCX, First Aid, Landmark and other major department stores and supermarkets nationwide. Im using this since i settle here in u.a.e..